THE 2013 Federal Election will be critical for Queensland motorists. We have endured years of under-funding and broken promises to improve the Bruce Highway, which every year claims on average 40 lives. Each one of those people is not just a statistic - they are someone's mother, father, brother, sister, child, friend or colleague. And for the past three years, Queensland's road toll has actually been increasing. Along with the enormous impact on families and loved ones, the carnage costs our state $4 billion every year. That's why RACQ has joined an unprecedented nation-wide campaign aimed at attracting more federal funding for national highways. Earlier this week, the Club unveiled a billboard on one of Brisbane's busiest roads as part of the Demand Better Roads campaign, the first coordinated election campaign by the nation's seven motoring clubs. 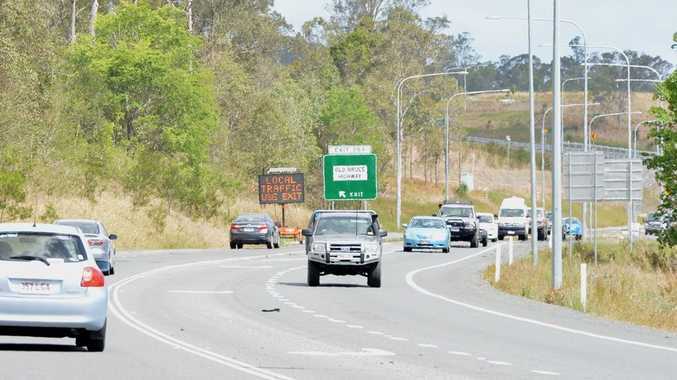 Similar billboards are located at another six sites on the Bruce and Warrego Highways, and they'll be supported by television, radio, newspaper and online advertising. They urge motorists to join an online petition being organised by the Australian Automobile Association (AAA), of which the RACQ and six other State and Territory motoring clubs are members. We want politicians to understand that motorists deserve a better deal from the taxes and fees we pay. By joining this petition (go to demandbetteroads.com.au), you can help get the message across to the decision-makers in Canberra that we want more roads and transport funding. We figure it's easy for politicians to ignore a lone voice, but much harder to dismiss the seven million Australians who are motoring club members, and through them, the broader road user community. So please support this campaign: join the online petition and lobby your local federal parliamentarians and candidates for more roads funding for Queensland.